Let the saltwater breeze blow through your hair at Glyfada Beach, located just a short drive from Athens. Lapped by shallow and refreshing water, the beach remains one of the cleanest swimming spots in the area. Rent a beach umbrella and spend the day relaxing by the water, and leave some time to explore the nearby cafes, cozy restaurants, and lively bars. 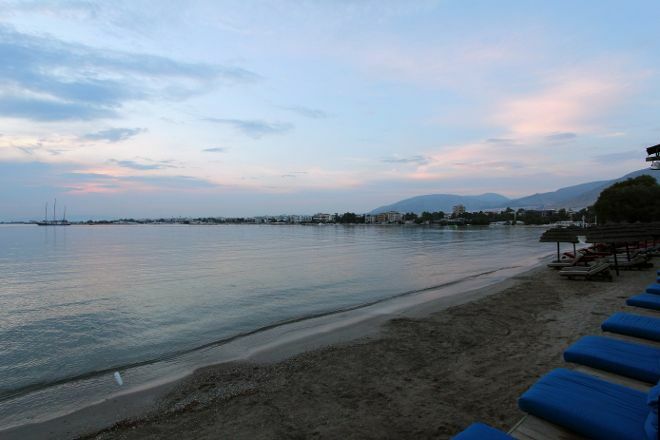 To visit Glyfada Beach on your holiday in Glyfada, and find out what else Glyfada has to offer, use our Glyfada day trip planner . Beach City. There are several free umbrellas, toilet and shower. Sunset in the sea Rocky, need special shoes! Long Beach easily accessible by tram and a car and offers parking and even free of charge. With shops and cafes along the cycling track and remains one of the few beaches in the South suburbs friendly for residents. The sea would not say it is for swimming.